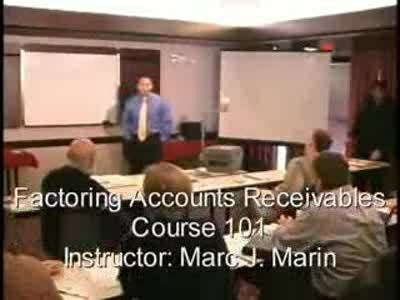 Invoice Factoring Training by Marc Marin of http://gatewaycfs.com . Account receivables look great on paper, but will they help you meet this month\'s payroll or other expenses. Do you have a strong, thriving (or strugling) business, and find yourself relying on credit lines or borrowed money to cover your expenses? If so, there\'s a solution that can turn your business around and increase your cash flow. Use your receivables to your advantage!